Connor joined the Affordable Housing Group as an Associate. With experience in sales and real estate, Connor brings experience and a vision to the group. Focusing primarily in the Southwest to Southeast regions, Connor has made a strong impact on both the Affordable Housing Group and his clients. Progrssive thinking and adaptive learning are two reasons Connor has been able to develop strong business relationships..
Connor is energetic in expanding his industry expertise and developing into the role of affordable housing specialist. His ability to forge strong client relationships, his industry perspective, and his tenacity are just a few of the things that enable him to excel. 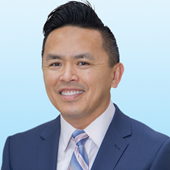 John L. Nguyen serves as a Senior Vice President at Colliers International and is the Director of the Affordable Housing Group. With 16 years in the industry and $750+ million in closed transactions, John is considered a leader in the affordable housing industry. Working across the country to preserve affordable housing, John has extensive hands-on experience in the sale of Project Based Section 8, HUD-Insured, state agency financed, and value-add subsidized properties. By commanding industry expertise, John is able to execute the sale and restructuring of the highly complex transactions with ease. John has a long history of successfully navigating through the maze of encumbrances, regulatory restrictions, and tenant income covenants to consummate the transaction and produce substantial value for his clients. In ongoing efforts to create the best possible results for the clients, John and his team work with a network of attorneys, underwriter analysts, and other industry experts to ensure the best acquisition/disposition strategy for each unique deal. Throughout his career, Jesse has been a top performer with a track record of consistently meeting and exceeding client expectations. 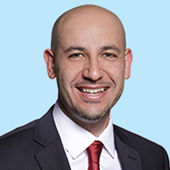 Jesse began his expertise in market rate apartments in Southern California, consulting on 1031 exchanges and exclusively representing private investors and public institutions in dispositions and acquisitions. With over 7 years of successful experience and increasing responsibility, Jesse has made a name for himself as he continues to demonstrate a keen knowledge of his product type. Jesse recognized a demand in communities across the nation for affordable housing and quickly decided to transition his skill set into this highly focused specialty. He joined the Affordable Housing Team and re-positioned his target to the brokerage of project-based Section 8 properties and government subsidized housing. Now a HUD-Affordable Multi-Family specialist with the Affordable Housing Team, Jesse and his team exclusively represents and advises a wide-spectrum of owners spanning from non-profits, to developers, and institutional clients in HUD-affordable housing transactions nationwide under the mentorship of John L. Nguyen. His success can be attributed to detailed analysis, accountability to his client’s business goals, and the consistent delivery of value-added results. 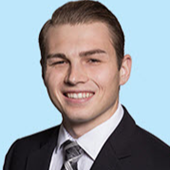 Peter joined the Affordable Housing Group-Colliers International as a Research Analyst and developed into the role of Associate shortly thereafter. 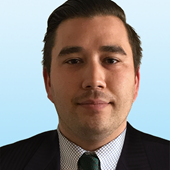 A rising commercial real estate agent with a background in real estate finance, Peter is a strong addition to the team. Peter’s experience as a research analyst for the group has allowed him to learn the business from the inside out, gaining valuable insight and expertise in Affordable Housing nationwide. 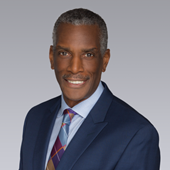 Peter’s exemplary customer service skills, understanding of real estate finance, and extensive foresight have provided him with a strong foundation and are just a few of the things that set Peter apart from his competitors. 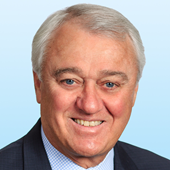 Prior to joining the Affordable Housing Group-Colliers International, Peter worked in leasing and property management, with a track record of successfully completing more than 200 leases. Sam Lacebal is an Associate with the Affordable Housing Group. With prior experience in real estate and sales, Sam brings a new dimension of industry insight to the group. From non-profit and institutional owners, to developers and syndicators, Sam knows how to navigate the complexities of both Section 8 and LIHTC transactions, and provides each client with a custom real estate strategy to assist them in achieving their goals. Sam’s passion for preserving affordable housing, market knowledge, and his aggressive marketing approaches are just a few of the assets that set Sam apart from his competitors. Sierra serves as the Client Services Specialist for the Colliers International-Affordable Housing Group. With an in-depth background in marketing, graphic design, transaction management, affordable housing, and client relations, Sierra has been integral in fostering the growth of the group. As the Client Services Specialist, Sierra manages not only the day to day operations of the group but also the marketing and transaction process. From the inception of a deal to its completion, Sierra coordinates due diligence, property tours, inspections, and site visits, working closely with buyers, sellers, legal counsel, and escrow to ensure a smooth transaction and successful closing. She prepares proposals, press releases, case studies, offering memorandums, and market and demographic information, managing all marketing aspects of the Colliers International-Affordable Housing Group. In 2017, Sierra managed the marketing campaigns, escrow, and successful closing of over $83 million in affordable housing transactions. Jim Lampman has over 30 years of commercial real estate experience specializing in affordable housing “AH” nationwide. His specialization covers all forms of housing for seniors, both affordable and care provider facilities, and affordable housing for families. Specifically, affordable housing projects include assets under IRS Section 42 Low Income Housing Tax Credit (LIHTC) properties and federally subsidized properties under HUD’s Section 8 program. Prior to joining Colliers, Lampman worked for 25+ years at CBRE, focusing exclusively in affordable housing where he handled transactions in over 28 states. Prior to joining CBRE, Lampman was head of commercial lending and part owner of several banks in Colorado. Jim is married and has two grown daughters both of whom work in the areas of commercial banking or commercial real estate.